Newspapers in Nigeria are reporting that President Goodluck Jonathan in a letter to the President of the Senate, David Mark named Godwin Emefiele as the new Central Bank governor. This is likely to infuriate President Jonathan;s opponents who see Sanusi Lamido Sanusi's suspension as illegal under the Nigerian constitution. 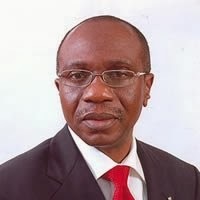 In a related development, President Jonathan sought the confirmation of Mr. Adelabu Adebayo Adekola as Deputy Governor of CBN in line with Section 8 (1) and (2) of the CBN Act via another letter.